We continue our group-by-group World Cup preview by arriving at Group B. Some call it the Group of Death. Others see it as an opportunity for both Spain and European champions Portugal to claim some early confidence points against underdogs Iran and Morocco. Two years after winning the Euro, can Portugal be considered one of the leading favorites to win the World Cup? Probably not. They weren’t impressive on their route to that title, beating France with an Eder goal despite Cristiano Ronaldo leaving early due to injury. They were fantastic in the qualifying campaign and overall, under Fernando Santos are extremely difficult to beat, losing only twice in 24 competitive matches through 90 minutes. So why shouldn’t we be high on Portugal? Not just the crucial opening match being against Spain, but the team’s reliance on out-of-form players or those who are simply too old. The defense relies on Pepe and Bruno Alves in the middle. The midfield duo of William Carvalho and Bruno Fernandes comes from a “war-torn” like Sporting. Andre Silva, who’ll partner Ronaldo up front had a poor season with AC Milan. 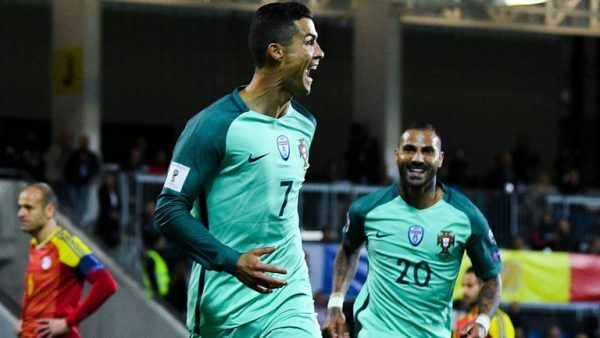 If Ronaldo is stifled, and it is possible when he wears Portugal uniform, a lot will fall on Bernardo Silva, Joao Mario, perhaps also Ricardo Quaresma and even Guedes, if he gets the opportunity. The Selecao are difficult to beat and have arguably the best finisher in history, but after catching a lucky break or two in France two years ago, they might need a bit more of something they don’t have in Russia. Andres Iniesta may ended his Barcelona chapter, but he is geared up for one more run with La Roja in the World Cup. 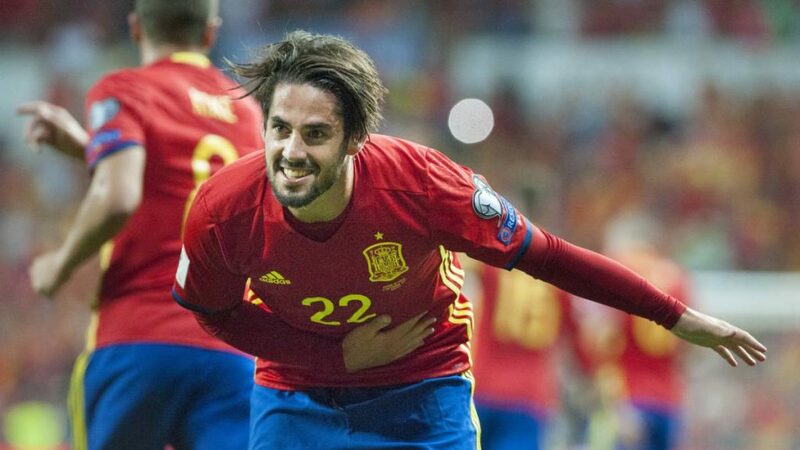 The 2010 hero is still in the thick of it as far as head coach Julen Lopetegui is concerned, following a very successful qualifying campaign, which included a 3-0 win over Italy that clinched the top spot in the qualifiers. But Lopetegui hasn’t just leaned on experienced players who have been through the success and less pleasant moments of the last 10 years, including Sergio Ramos, David Silva and Sergio Busquets. Spain’s wing backs, Jordi Alba and Dani Carvajal make for one of the best duos in the world, supporting a midfield that will obviously dominate possession, but also try to press high and give Isco, Silva and Iniesta less distance and more space to work with. The big question heading into the World Cup is the striker identity, or whether to use one at all. Diego Costa seems to be the leader in the current race, but Iago Aspas had been doing well since returning from England and might be a better fit for the pace and style. Having Rodrigo, Saul and Asensio completed one of the deepest squads in this tournament, hoping their transition from the golden era will run a bit more smoothly this time. Heading into their 5th World Cup, Iran are hoping to change the perception and the outcome of the previous visits, yielding just one win in 12 matches, including a single goal in the previous visit 4 years ago. After dominating Asian football in recent years, Carlos Quieroz presents a more attacking and creative side than ever before, but once again the lack of competitive encounters against top-rated sides leaves Team Melli relatively unknowns heading onto the biggest stage in World Football. The star of the team is 24-year old winger Alireza Jahanbaksh, the leading scorer in the Netherlands, with 21 goals for AZ this season. 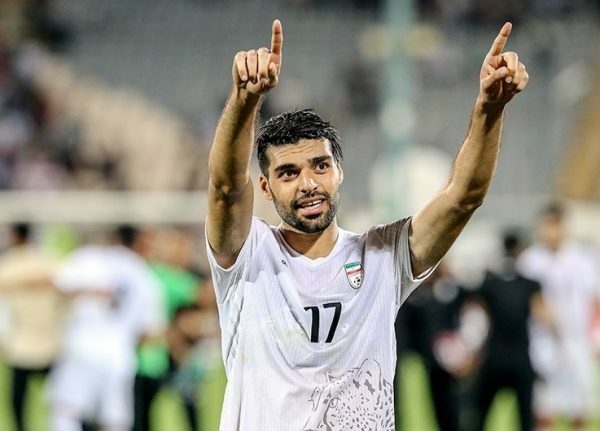 A brash and very direct player, he isn’t going to be the sole attacking option for Iran. Sardar Azmoun is the leading scorer among the call ups with 23 goals, and is expected to be a productive partner up front. Saman Ghoddos looked terrific this season in Sweden but might not start for Iran, but adds another scoring option from the second line. Ashkan Dejagah, Mehdi Taremi and Karim Ansarifard (prolific season in Greece with Olympiakos) complete one of the deepest attacking units for teams outside Europe and South America. Will it be enough? Not facing Portugal or Spain right away is a plus, but considering Quieroz’ tendency to play it safe and the difficulty of knowing how this side will compete against European sides leaves more than a few doubt about Iran’s chances of putting on a memorable performance for the first time in the World Cup. A tough, tight and disciplined side coached by Herve Renard, the only manager to win the Africa Cup of Nations with two different sides (Zambia, Ivory Coast). His Atlas Lions aren’t flashy, but they displayed terrific defense led by Mehdi Benatia in the African qualifiers to the World Cup, not conceding a single goal, although scoring took some time to get. Where will the goals come from? Probably Hakim Ziyech of Ajax will be involved. The 25-year old midfielder will play behind the striker (likely to be Khalid Boutaib) and try to convince Premier League teams to sign him. Ziyech, another one of the European-born Moroccan players, is one of the few young options in an attack that consists of quite a few players on the wrong side of 30, like Mbark Boussoufa, Aziz Bouhaddouz, Karim El Ahmadi and Nordin Amrabat, which could make keeping up with faster pace or trying to come from behind difficult. Ayoub El Kaabi, the 24-year old with 10 goals in 8 caps for the national side could be an ace up Renard’s sleeve, but he’ll probably be used off the bench, as Renard doesn’t like to try to adventurous. Morocco, like Iran, need to win the first match, otherwise qualifying from this group is going to be extremely difficult. On paper, this should be Spain and Portugal in the first two spots, easily. However, a win by one of the sides in the opening match puts the other one in a complicated spot. Portugal didn’t qualify from a difficult group in the 2014 World Cup after a devastating loss to Germany in the opening match. Still, even with a loss, it’s difficult to see Portugal and especially Spain dropping points to Morocco and Iran. As of now, I see it as Spain first, Portugal 2nd, followed by Morocco at third and Iran finishing 4th.